There are a few things we can do to help you. We have a vast collection of photos mainly of Japan, Japanese life style, culture, tourism, religion, and more. We also have photos from a scattering of other countries like South Korea, Vietnam, and more. These are available from our portfolios at Alamy, Asian Photo Connection, and portfolio. Also, coupon discounts are periodically available for PhotoShelter hosted images. 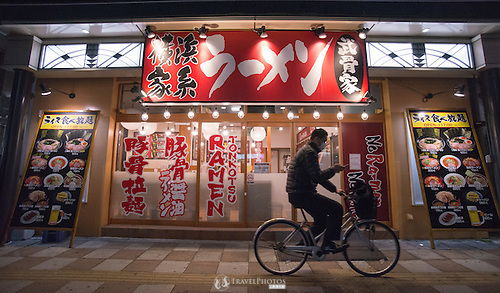 From our photo library: Ramen is a quick, cheap, healthy, and popular food in Japan. We have, do, and will go places. Do you need a particular place photographed? Do you need a series of travel photos for your article or campaign? We can help. We can do cityscape scenes, and scenes with models (local and or expat). We can shoot your product in an authentic travel/tourist scene. Contact us to tell us what you need. We can also do travel articles which includes stories and photos. 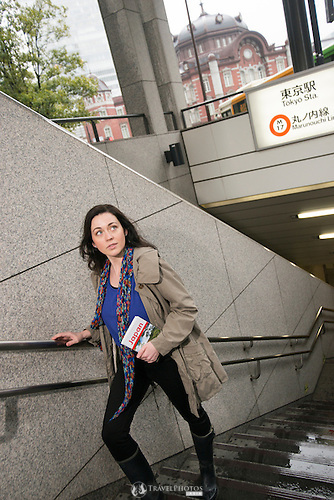 A young American lady with a Japan guide book at a Tokyo Station subway exit, with the iconic Tokyo Station building in the background. Young lady having lunch at an exclusive restaurant in Saigon, Vietnam (photo was not commissioned, so is available for rights-managed licensing). This gives you your own look, style, and aesthetic that is not shared with any other company. Costs will vary, but depends on how many models are needed, the location needed, support staff needed, type of post-processing required, and the intended use. Shoots can be done confidentially or with social media involvement. Contact us for more information. Sample product shoot. A young lady at Sensoji Temple with iconic lantern and Tokyo Skytree Tower in the background. 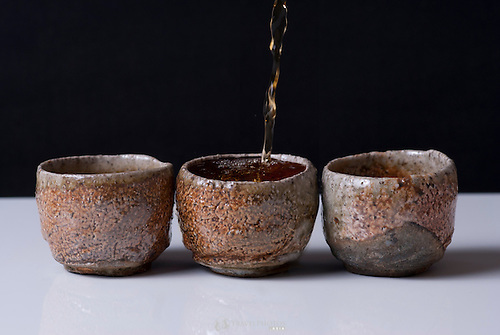 Sample product shoot with Korean green tea cups.